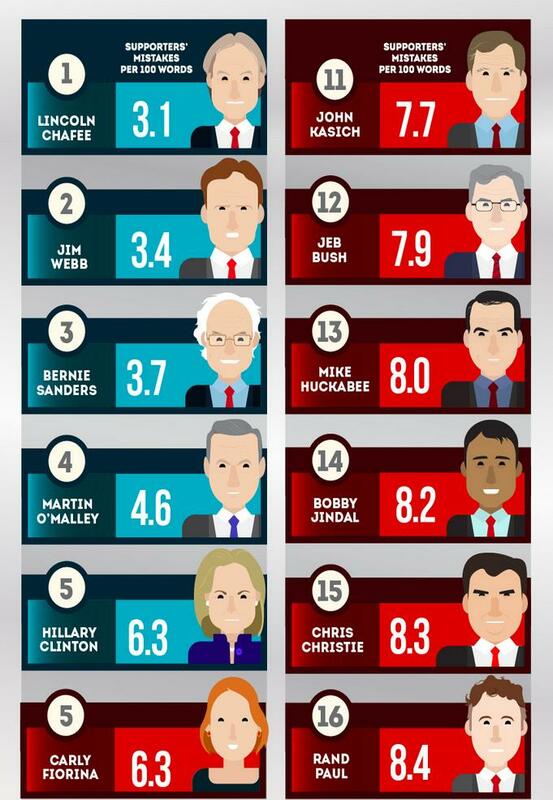 Donald Trump seems to top almost every Republican presidential candidate poll. 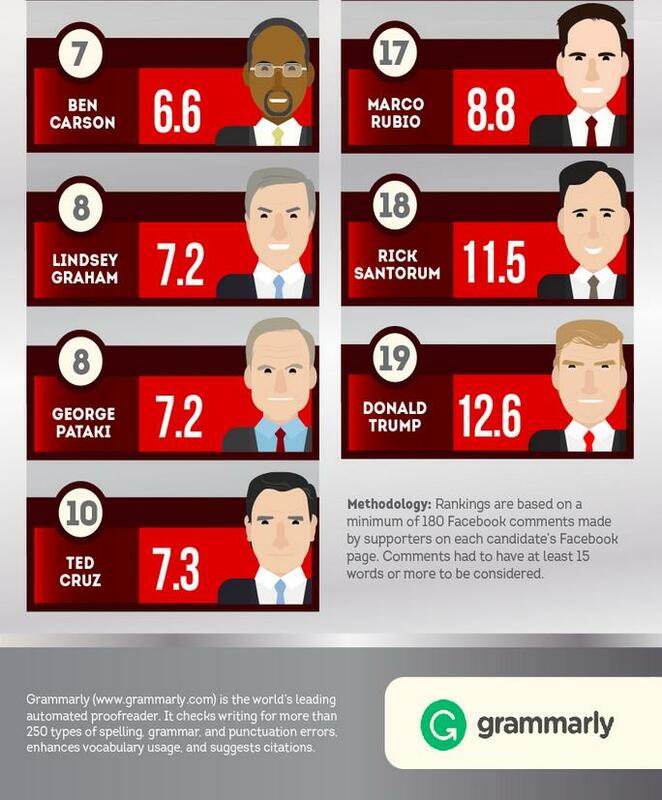 A recent survey by the website Grammarly shows Trump leads another poll. His supporters have the worst grammar on social media. “Forget you are what you eat. When it comes to election season, you are what you speak. 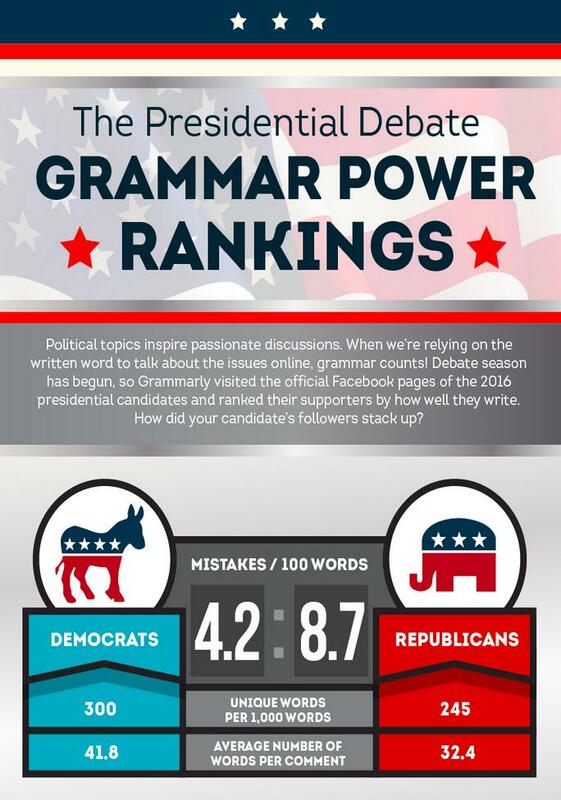 A new study by the proofreading app Grammarly shows that grammar skills vary widely among the supporters of the different presidential candidates. 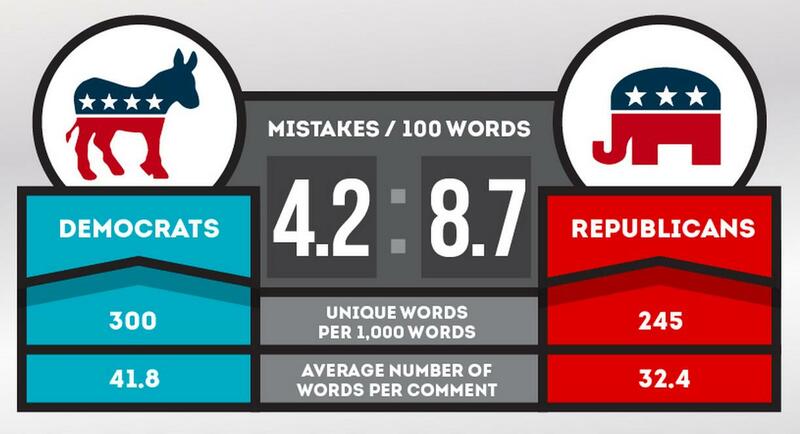 “The study also found that supporters of Republican presidential candidates made more than twice as many errors, on average — at 8.7 mistakes for every 100 words — than supporters of Democrats, who made 4.2 mistakes for every 100 words. 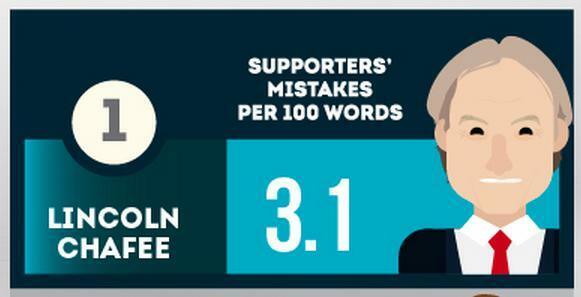 Among the Democratic candidates: While Lincoln Chaffee may be trailing in the polls, his supporters made the fewest mistakes of any candidate, Democrat or Republican, with only 3.1 mistakes per 100 words. 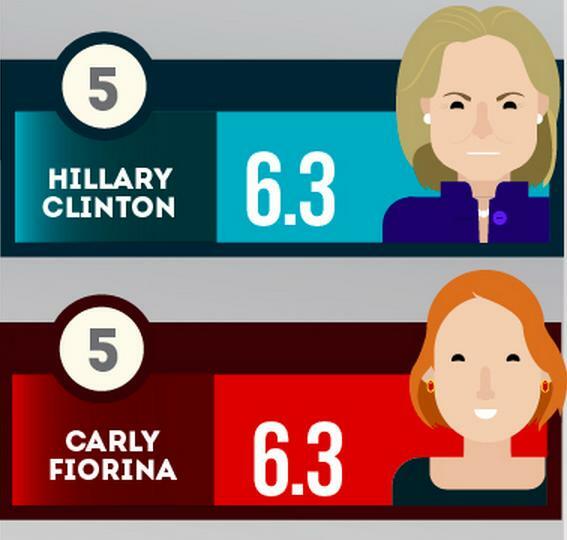 Democratic frontrunner Hillary Clinton’s supporters might want to get out their old copies of Strunk & White’s Elements of Style, as they made the most mistakes (6.3 per 100 words) of any of the Democratic candidates’ supporters. “While psychologists have yet to reach a unanimous agreement regarding how the language acquisition process works, many believe that language is developed primary through imitation. This may suggest that the various candidates’ supporters (though already verbal and of speaking age) could be mimicking and replicating one another’s linguistic tics.